Canal+, Canal+ España, Constantin Film, La Petite Reine, Les Editions Albert René, Motion Investment Group, Novo RPI, Pathé, Pathé Renn Productions, SOROlla Films, TF1 Films Production, TriPictures, Warner Bros.
Rene Goscinny and Albert Uderzo's internationally popular cartoon characters Asterix and Obelix take on the world of athletics in this live-action comedy-adventure. 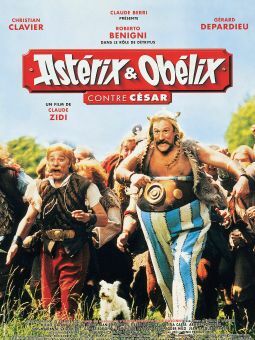 It's 50 B.C., and short but wily Asterix (Clovis Cornillac) and his rotund sidekick Obelix (Gerard Depardieu) hit the road for Rome, where they hope to compete in the Olympic Games. 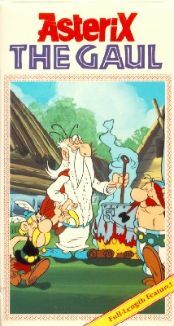 Obelix figures he's a sure bet for a weight-lifting medal until he learns his special strength elixir is against the rules, and Asterix is soon distracted by the behind-the-scenes chicanery. 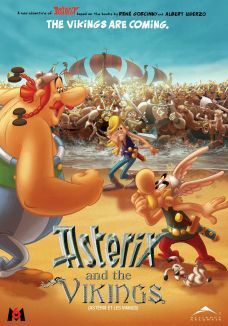 Princess Irina (Vanessa Hessler), a beautiful member of the Greek royal family, is being wooed by well-meaning Lovesix (Stephane Rousseau), who is using love poems stolen from Obelix to win her heart, and untrustworthy Brutus (Benoit Poelvoorde), whose father is the Roman emperor Julius Caesar (Alain Delon). Brutus is eager to take over the throne from his father, and keeps trying to kill Caesar off to speed up the process. 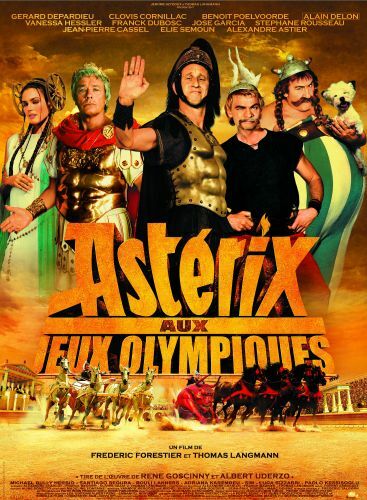 Asterix Aux Jeux Olympiques (aka Asterix At The Olympic Games) also features cameo appearances from a number of European sports stars, including Zinedine Zidane, Michael Schumacher and Tony Parker.